The Hamann challenge’s unique look with strong technical details offers the ultimate racing statement with a low weight and a high load capacity. Hamann Motorsport developed a monoblock wheel that is capable of withstanding extreme axle loads of 950 kg for imposing models such as the Mercedes-Benz GLE & Porsche Macan. Seven deep-drawn double spokes with distinctive form elegantly run out at the rim flange opening up the view to the brake calliper, thus this stunning 22-inch wheel appears more imposing than its actual size dictates. Manufactured with high-strength aluminium alloy through a complex TÜV-certified flow forming process, a reduced weight of ten per cent is achieved compared to conventional cast wheel rims. Despite this the rim is as strong as that of a forged wheel and the powder-coated primer provides an ideal tough corrosion resistant finish. 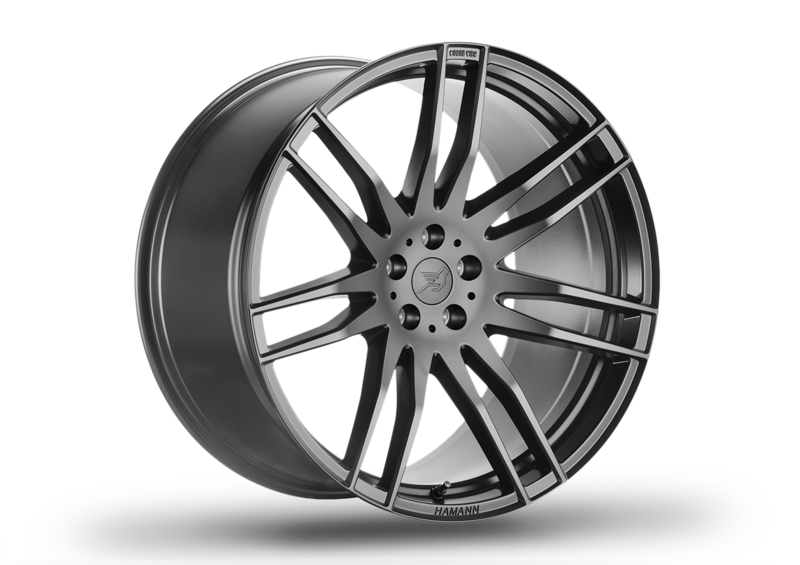 As with most Hamann wheels special order factory colours are available to suite individual requirements.